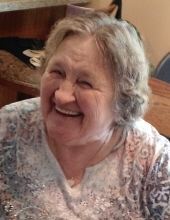 Caroline L. "Carol" Melton, age 80 of Greenville, died late Thursday, January 18, 2019 in Grand Rapids. She was born December 9, 1938 in Greenville, the daughter of Clayton and Gene (Christensen) Riker. On December 13, 1957, she married Glynn Melton. Carol was an active church member throughout her life. She enjoyed playing games with family and friends as well as making quilts and knitting various items as gifts. As a couple, Carol and Glynn enjoyed camping and spending time outdoors. Carol is survived by her husband of 61 years, Glynn; children, Scott (Amy) Melton, Tom (Judy) Melton, John (Theresa) Melton, Julie Melton, and Mark (Kim) Melton; grandchildren, Tony Melton, Rachel Oldenburg, Jake Melton, Breanne Melton, Luke Melton, Reagan Melton, Meili Melton, Dani Melton, Anthony Melton, Alexandria Melton, Claudia (Derek) Heydenburg, Taylor Melton, Kelly (Kyle) Doty, Christy Melton, Mark Melton II, and Colt Melton; great-grandchildren, Scotty, Sean, Leila, Jonah, and Rayne; sisters, Shirley Israel and Suzie Snyder, and sisters-in-law and brothers-in-law, Edna (Bob) Shomler, Don (Marcia) Melton, and Curtis (Sonja) Melton. She was preceded in death by her parents and two children, Vernon Melton, Jr. and Ronald Dean Melton. Funeral services will be held at 11:00 am Wednesday, January 23, 2019 at Beth Haven Baptist Church, Pastor Kevin Crowell officiating. Visitation will be Tuesday from 4:00 to 7:00 pm at Hurst Funeral Home. Interment will be in Little Denmark Cemetery. Memorial contributions may be given to Beth Haven Baptist Academy. To send flowers or a remembrance gift to the family of Caroline "Carol" Melton, please visit our Tribute Store. 1158 W. Carson City Rd. "Email Address" would like to share the life celebration of Caroline "Carol" Melton. Click on the "link" to go to share a favorite memory or leave a condolence message for the family.